Burger Shop for Sale in Noble .. Businesses for Sale in Noble Park | Aussie Business Sales are the lead.. Restaurant for Sale in Fitzroy.. Restaurant for Sale in Fitzroy | Aussie Business Sales are the leading.. Hair Salon Business for Sale M.. Hair Salon Business for Sale Melbourne | Aussie Business Sales are the..
New Pizza Shop for Sale Melbou..
Best Automatic Coffee Barista ..
Automatic Coffee Barista Machine | Aussie Business Sales are the leadi..
Tattslotto Business for Sale i.. Businesses for Sale Werribee | Aussie Business Sales are the leading B..
Best Kids Party Hire Business ..
Best Kids Party Hire Business for Sale Melbourne | Aussie Business Sal.. Businesses for Sale Lysterfield | Aussie Business Sales are the leadin..
Best Spud Bar for Sale Melbour..
Melbourne Wine Bar for Sale..
Best Indian Restaurant for Sal..
Tattslotto Sub News Agency for..
Bar for Sale Melbourne City..
Take Away Shop for Sale in Foo.. Businesses for Sale Footscray | Aussie Business Sales are the leading ..
Best Kids Party Hire Business for Sale | Aussie Business Sales are the..
Burger Shop for Sale in Footsc..
Melbourne Party Hire Business ..
Melbourne Party Hire Business for Sale | Aussie Business Sales are the.. Convenience Store for Sale Mel..
Hawthorn Hair Salon for Sale..
Hawthorn Hair Salon for Sale | Aussie Business Sales are the leading B..
Tattslotto Agency for Sale Mel.. Kids Party Hire Business for S.. Kids Party Hire Business for Sale Melbourne | Aussie Business Sales ar.. Convenience Store for Sale in ..
Massage Shop for Sale Clayton.. Mobile Coffee Trailer for Sale..
Massage Shop for Sale Melbourn..
Massage Shop for Sale Melbourne | Aussie Business Sales are the leadin..
Hawthorn Salon for Sale | Aussie Business Sales are the leading Busine.. Restaurant for Sale in Melbour..
Melbourne Café Business for S..
Melbourne City Bar for Sale.. Restaurant for Sale in Werribe..
Spud Bar Franchise for Sale..
Burger Shop for Sale Melbourne..
Coffee Machine for Sale Melbou..
Coffee Machine | Aussie Business Sales are the leading Business Broker.. Kebab Shop for Sale in Melbour..
Burger Business for Sale Foots..
City Bar for Sale Melbourne.. Restaurant for Sale in Murrumb.. Restaurant for Sale in Murrumbeena | Aussie Business Sales are the lea..
Bakery for Sale Victoria | Aussie Business Sales are the leading Busin..
Barista Machine for Sale Melbo..
Barista Machine | Aussie Business Sales are the leading Business Broke..
Auto Repair Business for Sale .. Restaurant for Sale Wantirna S.. Restaurant for Sale Wantirna South | Aussie Business Sales are the lea..
Burger Bar Business for Sale M..
Burger Bar Business for Sale Melbourne | Aussie Business Sales are the..
Café for Sale Footscray Marke..
Café for Sale Footscray Market | Aussie Business Sales are the leadin..
Spud Bar for Sale Hawthorn.. Businesses for Sale Hawthorn | Aussie Business Sales are the leading B.. Fully Automatic Coffee Machine | Aussie Business Sales are the leading.. Hair Salon for Sale Melbourne.. Hair Salon for Sale Melbourne | Aussie Business Sales are the leading ..
Pizza Shops for Sale in Werrib..
Pizza Shops for Sale in Werribee | Aussie Business Sales are the leadi..
Indian Restaurant for Sale in ..
Business for Sale Wantirna Sou..
Business for Sale Wantirna South | Aussie Business Sales are the leadi..
Spud Bar for Sale Melbourne..
Spud Bar for Sale Melbourne | Aussie Business Sales are the leading Bu..
Cafe for Sale Fitzroy North..
Cafe for Sale Fitzroy North | Aussie Business Sales are the leading Bu..
Café for Sale Brunswick | Aussie Business Sales are the leading Busin..
Coffee Cart for Sale Melbourne..
Coffee Cart for Sale Melbourne | Aussie Business Sales are the leading..
Business for Sale Footscray | Aussie Business Sales are the leading sm..
Pizza Shop for Sale Werribee..
Pizza Shop for Sale Werribee | Aussie Business Sales are the leading B..
Auto Repair Business for Sale Melbourne | Aussie Business Sales are th..
Indian Restaurant for Sale Mel..
Melbourne Auto Repair Business for Sale | Aussie Business Sales are th.. Restaurant for Sale Murrumbeena | Aussie Business Sales are the leadin..
Massage Shop for Sale Mulgrave..
br /> Massage Shop for Sale Mulgrave. Aussie Business Sales are the le..
Business for Sale Hawthorn | Aussie Business Sales are the leading Bus..
Business for Sale Werribee | Aussie Business Sales are the leading Bus..
Coffee Trailer for Sale Melbou..
Coffee Trailer for Sale Melbourne | Aussie Business Sales are the lead..
Melbourne Massage Business for Sale | Aussie Business Sales are the le..
Massage Business for Sale Melb..
Massage Business for Sale Melbourne | Aussie Business Sales are the le.. 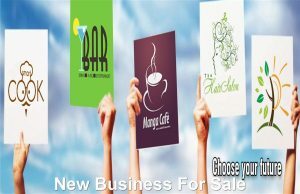 Businesses For Sale In Brunswi.. Businesses for Sale in Brunswick. Aussie Business Sales are the leadin..
Melbourne Bakery for Sale | Aussie Business Sales are the leading smal..
Workshop for Sale | Aussie Business Sales are the leading Business Bro..
Kensington Restaurant for Sale | Aussie Business Sales are the leading..
Business for Sale Brunswick | Aussie Business Sales are the leading Bu..
Workshop for Sale Melbourne | Aussie Business Sales are the leading Bu..
Western Suburbs Conveyancing Business for Sale | Aussie Business Sales..
Fruit and Veg Delivery Busines..
Fruit and Veg Delivery Business for Sale | Aussie Business Sales are t.. Restaurant for Sale Kensington | Aussie Business Sales are the leading..
Cafe for Sale Fitzroy | Aussie Business Sales are the leading Business..
Pizza Business for Sale Melbou.. Restaurant for Sale West Melbo..
Café Business for Sale Melbou..
Home Delivery Business for Sal..
Massage Business for Sale Hawt..
Prahran Hair and Beauty Salon ..
Ormond Café Restaurant for Sa..
Collins Street Café for Sale..
Moonee Ponds Business for Sale..
Fruit Business for Sale Melbou..
Café for Sale in Melbourne..
Fruit and Veg Business for Sal..
Business for Sale in Melbourne.. Licensed Restaurant for Sale O..
Pizza Pasta Shop for Sale Melb..
Footscray Pizza Shop for Sale..
Pizza Shop for Sale Melbourne..
Melbourne City Sandwich Shop f..
Derrimut Fish and Chip Shop fo..
Café for Sale in Melbourne Ci..
Coffee Shop for Sale Melbourne..
Windsor Hair Salon for Sale.. Fish and Chips Business for Sa..
Cafe for Sale in Moonee Ponds..
Cafe for Sale in Melbourne CBD..
Business for Sale Toorak Villa.. Fish and Chip Shop for Sale..
Coffee Shop for Sale in Melbou.. Sandwich Shop for Sale CBD Mel..
Toorak Coffee Shop for Sale.. Sandwich Shop for Sale Melbour..
Moonee Ponds Café for Sale..
Burger Shop for Sale Richmond.. Licensed Cafe Restaurant for S..
Richmond Industrial Cafe for S..
Industrial Cafe for Sale Richm..
Melbourne Coffee Shop for Sale..
Café for Sale Moonee Ponds..
Cafe and Catering Business for..
Melbourne City Coffee Shop for..
Cafe for Sale Melbourne City..
Melbourne Licensed Cafe for Sa..
Melbourne City Business for Sa..
A new business venture can provide a popular investment opportunity for many entrepreneurs looking for a simple option that can return a profit. We know the industry well and make life easier for buyers and sellers by taking on the tedious tasks and facilitating clear communication. If you are looking to buy or want to list your New Business for Sale in Melbourne or Country Victoria get in touch with our friendly team to discuss your situation and schedule a free consultation. Reach us on mobile: 0418 515 434 or email: ian@aussiebusinesssales.com or send us a message through our enquiry form to receive a prompt reply.